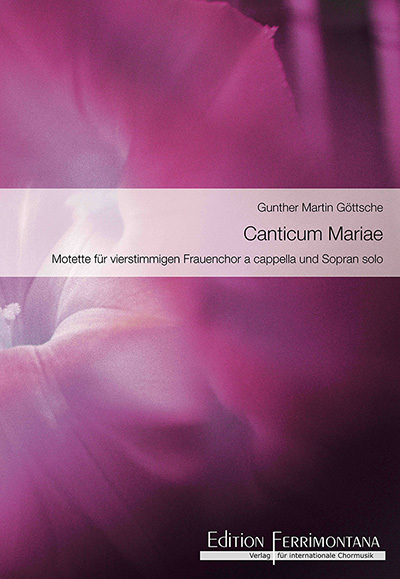 The German composer Gunther Martin Göttsche has written a motet for four-part women’s choir a capella and soprano solo for the Berlin Girls Choir and its director Sabine Wüsthoff. »Canticium Mariae«, op. 96 is based on the text version of the »Magnificat« (Luke 1: 46-55) from the Luther Bible 1912: »My Soul exalts the Lord …«. The work is published in the Edition Ferrimontana – pubilsher for international choir music. 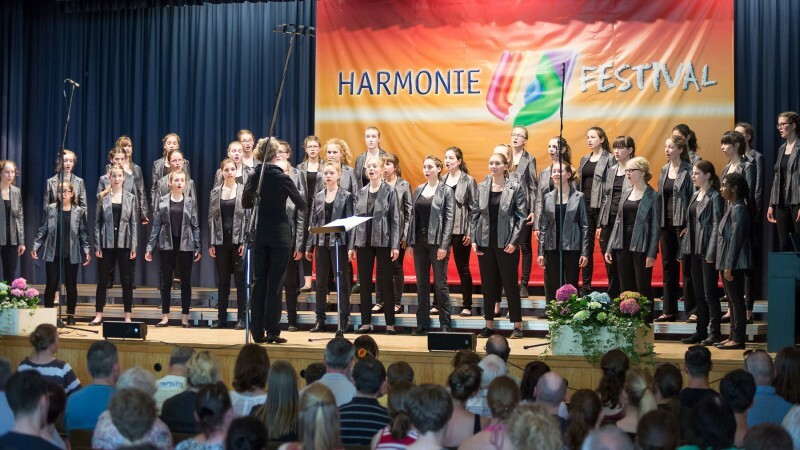 The premiere by the Berlin Girls Choir under the direction of Sabine Wüsthoff took place during the 7th HARMONIE FESTIVAL at the International Choir Competition, category 7 youth choirs, on Saturday, May 27th, 2017, in the concert hall of Lindenholzhausen (Germany). Sabine Wüsthoff and Gunther Martin Göttsche met in May 2016 in Jerusalem, where the composer worked as interim cantor at the Evangelical Church of the Redeemer. The conductor was on her turn with the Berlin Girls Choir on a concert tour through Israel. At the meeting, Wüsthoff developed the idea of ​​commissioning Göttsche with the composition of a sacred piece especially for her girls’ choir. In terms of content, the work should have reference to the anniversary of the Reformation and to the date of the planned premiere, the month of May. This explains the »Canticle Mariae« on the Magnificat from the Luther Bible.